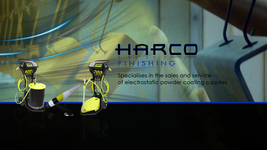 Harco Finishing specialise in the sales and service of electrostatic powder coating supplies, powder coaters and powder coating plants and equipment and have been serving the South African Finishing Industry since 1998. We have been sole South African agents for Sames Technologies (Powdercoating Equipment) since 2005. Sames is one of the world’s leading manufacturers of the latest innovative powder and liquid electrostatic finishing equipment. 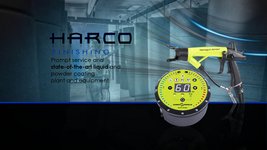 Whether you require reliable and highly efficient powder coating guns or complete finishing lines, we can supply what you need at competitive prices. 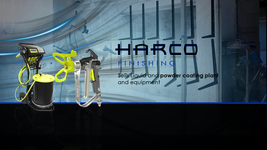 Browse our Website for more information about Harco Finishing, and if you have any questions or would like to speak with a Harco Finishing representative regarding our products or services, please e-mail us at powder1@absamail.co.za or call us on (011) 524 0876 or 082 365 8383.